Dennis Mark Prager is a politically conservative American radio presenter, author, public speaker, and probably best known as a talk show host, born in Brooklyn, New York City, USA on 2 August 1948, into a Modern Orthodox Jewish family. With an almost forty year-long media and writing career, how rich is Prager? Sources indicate his net worth to be over $5 million, as of early 2017. Dennis first attended the Yeshiva of Flatbush private Jewish school in Midwood, which takes students between two and eighteen years of age. 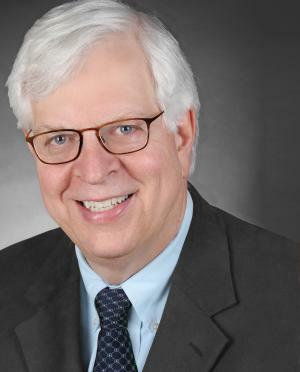 Prager subsequently graduated from Brooklyn College with a degree in Anthropology and History, went on to study at the Columbia University School of International and Public Affairs graduating in 1972, and finished at the University of Leeds in England, studying International History, Religion, and Arabic. His first book, co-authored with his childhood friend, Joseph Telushkin, “The Nine Questions People Ask About Judaism”, was published in 1976, and became a best seller, and is used as an introductory text to Judaism to this day. He has since written “Why the Jews? The Reason for Anti-Semitism” in 1983, “Think a Second Time (44 Essays on 44 Subjects)”, “Happiness is a Serious Problem: A Human Nature Repair Manual”, “Still the Best Hope: Why the World Needs American Values to Triumph”, ”The Ten Commandments: Still the Best Moral Code”, and “The Ten Commandments: Still the Best Path to Follow”. Prager has written for film too, including the movie “For Goodness Sake III” in 1993, and for shorts including “For Goodness Sake II”, “For Goodness Sake”, “The American Trinity”, and “The Middle East Problem”. He also writes a regular syndicated column which appears in newspapers nationwide. This varied writing career has no doubt contributed significantly to his net worth. In 1982, Prager began hosting a radio show for KABC, in Los Angeles, California, which centred on the topic of religion. He continues to broadcast to this day, currently on KRLA. He has also appeared on various television shows, including “Fox and Friends”, “Red Eye”, and “The Today Show”. He has lectured across the globe on the topic of religion, including in Russian and Hebrew. In 2002, Prager made a documentary called “Israel in the Time of Terror”, which focussed on the daily lives of Israeli citizens, and the threat of terrorism that they face. In 2011, he founded the Prager University, an online-based study platform, with courses including Economics, Political Science, and History. It is unique in that all the lectures available are just five minutes long, intended as highly condensed, bitesize chunks of information. In his personal life, Prager has married three times, firstly to Janet Prager (1981 – 1986) with whom he had a child, then to Francine Stone (1988 – 2005) – also a child – and finally to Susan Reed (2008). He is a vocal supporter of the Republican Party, though has criticised Donald Trump. He is musically talented, and has conducted classical orchestras for live audiences. He has been described by The Los Angeles Times as “an amazingly gifted man and moralist whose mission in life has been crystallized – ‘to get people obsessed with what is right and wrong”. 1 I realized that Abraham and Moses both have prolonged arguments with God, and not only doesn't God mind, He seems to welcome them. In fact, the name He gives Jacob and His Chosen People is "Israel," which literally means "Struggle with God."... does anyone read the stories of Abraham and Moses arguing with God and assume that God loses His authority? Of course not. Parents who allow their child to argue with them retain (and even enhance) their authority, are more likely to be loved, and even more important, guarantee that the child will continue to talk to them. A child who is always forbidden to argue with a parent will eventually stop communicating. 2 Many Jews think that Judaism's way of "repairing the world" is to be politically active and take what they consider to be correct positions on social issues. A lifetime of studying and teaching Judaism has led me to a different conclusion. As a general rule, the Jewish way to repair the world is to engage first and foremost in repairing one's own character and doing good on an individual basis. An excellent place to begin is by preserving the dignity of other human beings, even those one opposes politically. That is much harder, but usually much more beneficial to the world, than engaging in political activism. 3 God is indispensable -- but not a celestial butler. If we deny God, we will produce a morally lost society. But if we rely only on God -- and do not fight -- evil will win. 4 All those who support the American war in Iraq should make a deal with anyone opposed to the war. Offer to answer any 20 questions the opponents wish to ask if they will answer just one: Do you believe we are fighting evil people in Iraq? 5 All happy people are grateful. Ungrateful people cannot be happy. We tend to think that being unhappy leads people to complain, but it's truer to say that complaining leads to people becoming unhappy. 6 Those who are compassionate when they should be tough will be tough when they should be compassionate. 7 There is little correlation between the circumstances of people's lives and how happy they are. 8 Not only do we have a right to be happy, we have an obligation to be happy- because our happiness has an effect on everyone around us. 9 There's a lot more power in calm than in vituperation. 10 More harm was done in the 20th century by faceless bureaucrats than tyrant dictators. 11 How a society channels male aggression is one of the greatest questions as to whether that society will survive. That's why I am not against violence in the media, I am against the glorification of immoral violence. 12 Liberals tend to put the onus of your success on society and conservatives on you and your family. 13 If your religion doesn't teach you the difference between good and evil, your religion is worse than useless. 14 Socialism values equality more than liberty. 15 There is much less envy of the rich by the poor than there is of the happy by the unhappy; by those who believe by those who don't believe. 16 Our scientific age demands that we provide definitions, measurements, and statistics in order to be taken seriously. Yet most of the important things in life cannot be precisely defined or measured. Can we define or measure love, beauty, friendship, or decency, for example? 17 Men need rule books. Women want men to intuit what they want. And only about 2% of men can do that, and most of them are not heterosexual. 18 Unhappy, let alone angry, religious people provide more persuasive arguments for atheism and secularism than do all the arguments of atheists. 19 Given the amount of unjust suffering and unhappiness in the world, I am deeply grateful for, sometimes even perplexed by, how much misery I have been spared. 20 My tragic view of life... leads me to have little patience with the chronic complaining I hear in modern society from people who have so much yet act as if life and society have conspired to oppress them. 21 Conservatives divide the world in terms of good and evil while liberals do it in terms of the rich and poor. 22 Those who believe in nothing are very, very jealous and angry at those who believe in something. 23 "I am bored" generally means "I am boring". 24 The world is a bad place. There are many wonderful people, but on the whole, humanity basically stinks. 7 Founder of Prager University. 8 Has a small farm at his home in the Los Angeles area, and is a connoisseur of classical music, pipes, and fine pens. He is also a big fan of the Anaheim Angels baseball team, though he grew up a Brooklyn Dodgers fan. 9 Switched political parties from Democrat to Republican in 1988. 11 Is based in Los Angeles. 12 Is thrice-married, and has 2 sons and a step-daughter. 13 Conservative radio talk show host.